I love posing this question because the moment you ask someone you can see the smile spread across his or her face as he or she remembers the place that make them feel happy/content/loved. If your happy place (like many, many others) is Walt Disney World, then you're about to get very, very happy this summer. Over the past several years (behind the scenes), the creative Disney imagineers have been sprinkling their visionary innovations across the Walt Disney World Resort. This summer, the magic is revealed. Recently at the Awaken Summer Media Event, we had a preview of what's new around the world. With each reveal I thought "This is my new favorite thing at Walt Disney World. Wait. THIS is my new favorite thing as Walt Disney World. . ."
Oh, wait until you see what's new! Come with me! Let me take you to your new happy place -- Disney's Animal Kingdom at night! Take a seat in the new Discovery River waterside theatre. It is moments before Disney's new Rivers of Light Show begins. The lights slowly dim to darkness, the audience quiets and then--then the music and the lights begin to swell. It is ethereal. It is better than anything your childhood mind could dream up. 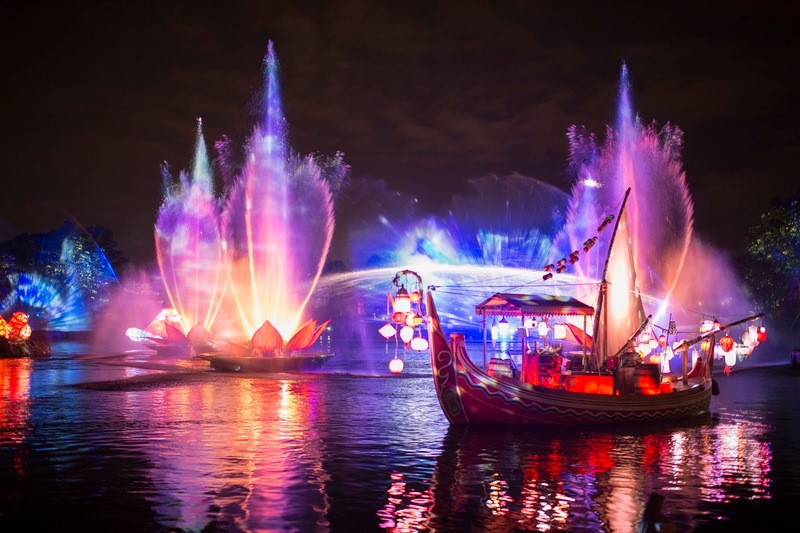 Celebrating the beauty and the magic of nature, Disney's Rivers of Light is an immersive storytelling experience with live performers, floating lanterns and imagery projected onto giant water screens. I was spellbound. I imagine you could see this show every night for a year and not see it in the exact same way. I thought this was my new favorite thing at Disney's Animal Kingdom. I was wrong. There was more. With the new extended hours at the Animal Kingdom, however, the evenings have become the optimal time to explore this park. Even something as simple as walking under all the foliage takes on an otherworldy feel at night. During the preview, I rode the Kilimanjaro Safari several times (once at dusk, and once after sunset). After dark, it feels like an entirely different expedition than during the day. As the sun sets, board your vehicle for an adventure into the wild. Keep an eye out for hippos and lions, rhinos and zebras, elephants and warthogs. You'll see the new African painted dogs or hyenas gathering together in their nesting place. (On the later trek, we saw the painted dogs huddled together sleeping.) We turned a corner and found the lionesses outlined against the sky as they rested on their rocky perches. It was a magnificent moment. I wondered if our headlights or the noise would disturb them but none of the animals seemed at all concerned about us, except for the young giraffe who wandered over to our vehicle. The driver paused as the giraffe decided which path she wanted to take. 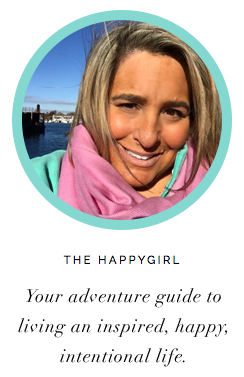 We all watched her in quiet awe before she decided on her next adventure that night. If your kids are with you, they will love the Harambe Wildlife Parti, a street festival featuring Afro-Pop musicians and acrobats as well as other performances including The Harambe Soccer Meerkats. At night, however, The Tree of Life takes on a fantastical feel. As you stand admiring the changing colors of the tree, you'll see the flickering enchanted fireflies awaken the creatures on the tree. Watch the story unfold on the trunk and in the leaves. Animals that seemed like static carvings begin bounding across the tree. A young doe explores her world and you become immersed in hers. As you watch this magical celebration of life, don't be surprised to hear people around you whisper things like "Did you just see that?" and "I've never seen anything like this." Trying to describe how incredible this is is like trying to describe the color green. You have to experience it for yourself. It's your new happy place. That night at my hotel, I sat on a bench by the water at the Boardwalk and tried to describe all of this to L who was back in Seattle. "There was a giraffe thisclose to our vehicle," I said "And the wild dogs sleep together in one big pile. Did you know that? The Rivers of Light was so Technicolor. It was so overwhelmingly beautiful I think I cried at one point. And you're going to love The Kali River Rapids at night. And this tree just comes alive. I have no idea how they do it but I can't even describe it. It's just so magical. I don't even know. . ."
All L said was "I can't wait to go back with you." 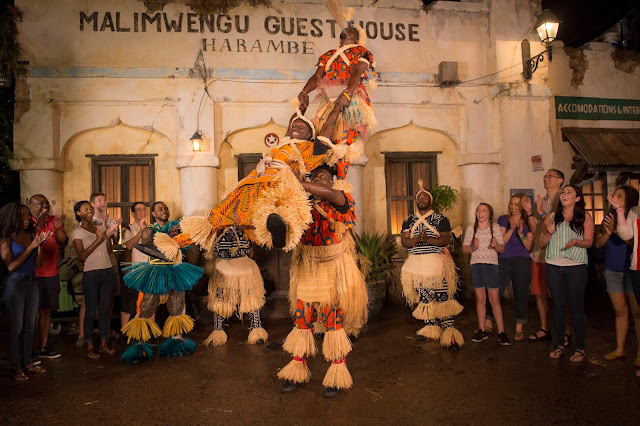 To experience all of the new nighttime attractions at your happy place, visit Walt Disney World and Disney's Animal Kingdom beginning Memorial Day Weekend. The Disney imagineers are brilliant in their design of audience spaces. For Rivers of Light, there doesn't seem to be a bad seat in the stadium-style space. However, we sat towards the back and we were able to get a great overall view of Rivers of Light. Before your trip, install the My Disney Experience app on your mobile device. From this app, you can see wait times for your favorite attractions, make dining reservations, manage and book your FastPass+ experiences, preview your Disney PhotoPass photos and videos and more. I can't even count how many times I used this app during the trip. I don't know how we ever visited the Parks without this app in the past. 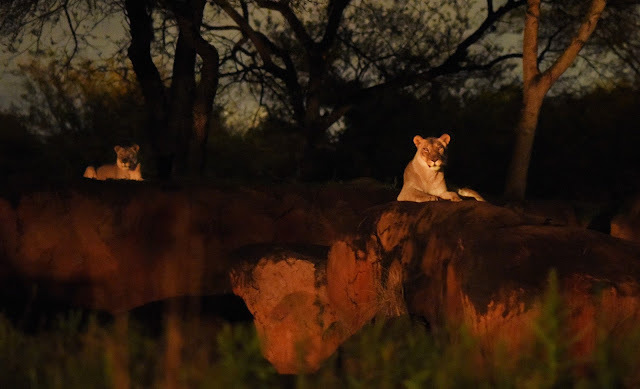 If you can, try to experience the Kilimanjaro Safari just before dusk as well as after sunset. It's incredible how much the wildlife changes as nighttime begins.